The Sea Lion Hunter was one of our longest running models and a favourite of hunters and farmers all over Australia. It's two LEDs offering both spot and flood capabilities suited many needs. If you are looking at the Sea Lion Hunter, consider the Seal which has superseded it - Wolf Eyes Seal Hunting Torch The Seal offers 500 metre versions and also offers two heads. 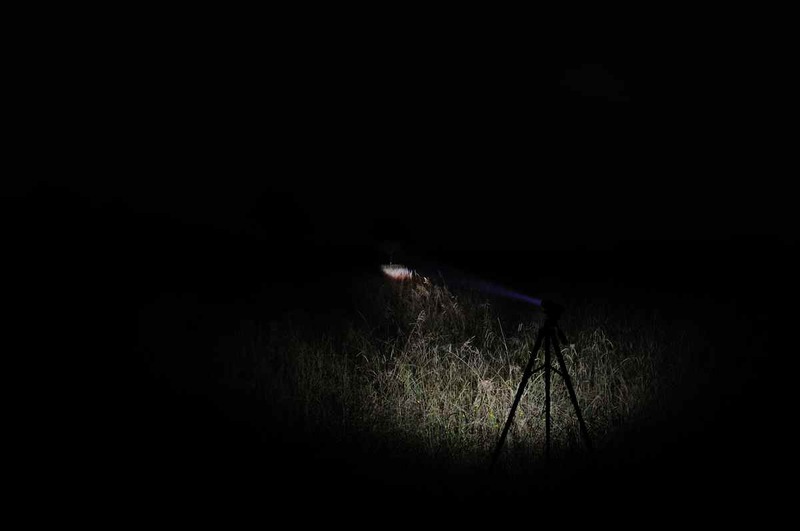 Or consider the Ranger 56 LED Hunting Torch as well, it has similar head size to the Sea Lion Hunter and offers the same 300 metre throw as the Sea Lion Hunter did. Batteries: LRB168P (the 168P has superseded the 168A originally installed) or High Capacity, two of either are needed. The Wolf Eyes Sea Lion Hunter is an Australia only version which has been designed to suit the needs of Australian shooters - but also works great as a general torch. It has a redesigned reflector to give increased throw and custom modes. We intend the Sea Lion Hunter to be as close to the only torch required for the man on the land or someone who likes outdoor pursuits. The man on the land should be able to mount the Sea Lion Hunter and use it as a spotlight on his rifle out to 300 metres, then use it to round up stock or general torch. The outdoors type can also use it on his rifle, then use it out fishing as it is waterproof. The Sea Lion Hunter has been a firm favourite for some time, with the two included LEDs (one aspheric, one reflector) two batteries, two tailcaps (one standard, one dual gun tailcap), holster, charger and tape switch combining with the handy form and size to make an impressive package - which works equally well on a rifle and as a general torch. The Wolf Eyes Sea Lion Hunter has 4 output levels, high, medium & low beam plus strobe. 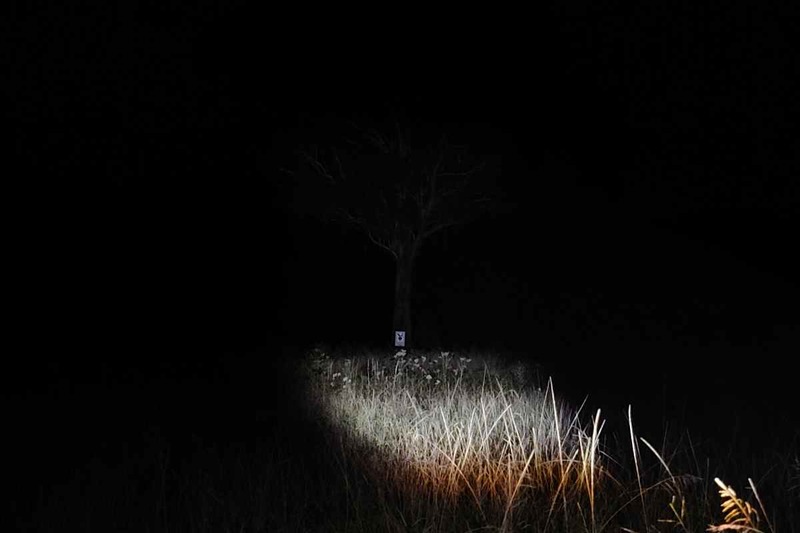 The 1,000 lumen high runs for 100 minutes, the medium beam runs approximately 10 hours (enough to see the sun rise the next morning), the low 90 hours and the strobe depends on use. By providing two LEDs we are able to better tailor each one to its intended use. When the light is mounted on a rifle we suggest our new aspheric lens LED. This has taken us some time to get an aspheric lens LED (like a magnifying glass on the lens) which still has some spill light (most others don't). We have now acheived that so provide a single level aspheric lens LED for rifle use and a multi level LED for close rifle use with more spill or when used as a general torch. To change LEDs takes 1 minute, just unscrew the head and change. This also makes upgrading your LED at a later date easier as well. 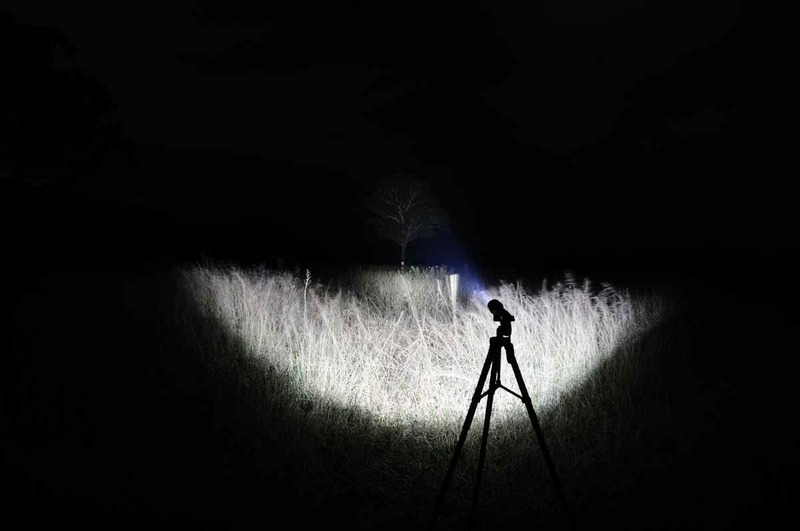 The reflector LED is great for general use or when a more spread beam is required such as when chasing rabbits or pigs. The beam pattern of the Wolf Eyes Sea Lion Hunter Reflector LED is, like most Wolf Eyes, designed for fast target acquisition. It is a central hotspot surrounded by spill light. The idea is that if searching for a target you locate it with the far reaching hotspot, if the target moves they move within your spill light, so you have some light, rather than searching in the darkness with a pencil beam. The Aspheric LED provides a narrower more concentrated beam designed for long distance use, well suited to those distant shots with a centrefire. With a conventional torch with a single spring, on a heavy calibre rifle the battery ( or batteries) can move around violently from the recoil and can cause damage to components of the torch. On the Wolf Eyes Sea Lion Hunter we utilise dual springs, one on each end of the battery compartment to isolate the battery's movement, while always maintaining full electrical conductivity and output. Constructed of aircraft grade aluminium with a brass liner, the Sea Lion Hunter is designed to have a 25.4mm (1") diameter body, making it both easy to hold and easy to mount, 1" being the standard firearm mounting size. The Sea Lion Hunter is a very high output torch with modest size. Most people don't realise that LEDs put out considerable heat, but unlike an incandescent torch which projects the heat out the front, LEDs heat the base they are mounted on. Overheating an LED results in permanent damage and reduced light output for the life of the LED. To remove the possibility of damage to your LED, Wolf Eyes have a brass liner inside the torch and a substantial aircraft aluminium body. The brass liner, as well as maintaining high electrical conductivity, mates to the mount of the LED and conducts heat along the body of the torch or flashlight, using the mass of the body as a heatsink to dissapate the heat. All Wolf Eyes Sea Lion Hunters are anodised tactical black and have a 5 Year Warranty on the body. The Wolf Eyes Sea Lion range of torches are upgradeable to a brighter LED when they come out. Unlike older design torches and flashlights, the Wolf Eyes modular design allows replacement of the LED when a brighter unit (or different wavelength such as red, green or infra red, etc) is available. The extremely durable construction of Wolf Eyes mean they last for years, reassuringly upgrades are available to keep your torch at the forefront of lighting technology. The Sea Lion Hunter is waterproof. If you use this torch for diving an annual replacement of 0-rings would be necessary, similar replacement schedules to what you would use on your regulare non critical diving gear. 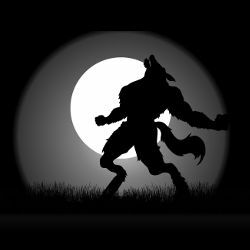 Wolf Eyes torches are regulated, meaning they don't dim or lose intensity like many other torches including other LED torches. The regulation has two advantages, it means the power to the LED is consistent, so the LED will be running at it's optimum with the battery being boosted as it is being depleted, the second advantage is you don't overboost the LED which can permanently damage it, this happens with torches not designed for rechargeable batteries or accumulators. The Wolf Eyes Sea Lion Hunter is both regulated and has an aircraft aluminium body with brass liner to ensure no damage happens to your LED. The Wolf Eyes Sea LIon Hunter comes complete with rechargeable battery and Australian approved charger. We have noticed a number of torches on the Australian market with non approved chargers. The advantage of an Australian approved charger is that it is both safe and legal to connect to an Australian power supply, meaning it meets OH&S requirements and also your insurance is ok in a residential or business situation. The battery utilised in the Sea Lion Hunter is the LRB168A (18650) rechargeable lithium ion battery. Utilised predominantly in notebooks, this battery provides large outputs (including rapid discharge high amp outputs) from a relatively compact package. So powerful is this battery that it powers the Tesla Roadster electric car (an electric car built on a Lotus Elise chassis with a 0-100kmh time of 3.9 seconds). One huge advantage of the Wolf Eyes Sea Lion Hunter torch flashlight is that it has been built with these rechargeables in mind, rather than disposable CR123 batteries (which cost $10 each in shops in Aus). All Wolf Eyes batteries are protected, meaning they have a small computer chip built in to one end, this controls charging and discharging, designed to reduce the risks of powerful batteries. We have seen lithium ion batteries explode and would never sell an unprotected version. Environmentally, rechargeable batteries are a winner. Like most quality lithium ion batteries, our rechargeable batteries are rated for 1,000 recharges under ideal conditions. Even if you took 500 recharges as a reasonable figure, each rechargeable battery you use would save 2,000 AAA batteries, 1,500 C cell batteries or 1, 000 CR123 batteries from landfill, a wothwhile saving (based on a 2 x CR123, 3 x C cell or 4 x AAA torch providing similar runtime). Even if the environment isn't your priority when purchasing a torch or flashlight, the financial saving is huge and as a bonus you get to feel good about the environment. One of the huge advantages of rechargeable lithium ion batteries, besides their huge outputs, is the ability to operate in colder temperatures. Many have been frustrated by the loss of power in AA and NiMh batteries in cold temperatures. That is not a problem with Lithium Ion. To take the photos here, we turned a torch onto low, placed it in a tray of water in a freezer for 4 days till the water became an ice cube, then removed and photographed. The torch was on for the 4 full days in the freezer! Rifle and Firearm mounting Torches & Flashlight thoughts. There are a few options when mounting a torch or flashlight to your rifle or firearm. The first is what sort of mount to use, the three main sorts of mounts being ones which attach to the barrel, mounts which attach to the rifle scope and lastly mounts or integrated grips which attach to picatinny rails. If you have picatinny rails on your firearm it is often a natural choice to use them, in a tactical firearm this will often allow other devices such as cameras to be easily located. In a recreation firearm it allows quick removal of the flashlight or torch from the rifle for daytime use. If you don’t have picatinny rails on your rifle, should you choose barrel or scope mounting? Barrel mounting usually allows easy placement directly under the barrel which is easy to manage and keeps the torch out of the way. The disadvantage of this form of mounting is it slightly affects barrel harmonics. A noted writer noticed 6mm difference on point of impact on a .222 at 100 yards. While this is negligible for most game in Australia, psychologically we do not suggest this mounting for long range shots. This is well suited to reflector model torches and flashlights such as the Sniper II Hunter, Digital Police Hunting or Hawk, which provide a good mix of spot and flood up to 150 metres. Well suited to say a pig gun or rimfire being used on bunnies, in both cases the flood would help with quick target acquisition and reacquisition. Scope mounting is well suited to aspheric models such as the Sea Lion Hunter, NiteHunter and Defender III which provide only spot out to longer distances. Knowing the scope mount will not affect point of aim will help the shooter mentally, while providing a quick method to attach and remove the flashlight or torch. Many mount the torch directly above the rifle scope, but the weight is low and it is suggested that shooters also consider mounting down and to the side of the scope (say the 8 O’Clock position when viewed from the scopes eyepiece) as this allows the shooter to peer over the top of the scope when looking for game, rather than their view being blocked by a large spotlight or torch.